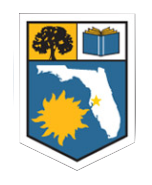 The Hillsborough County Century Families program (HCCF) was begun in 2014 by the Florida Genealogical Society in Tampa. Its purpose is to recognize and honor persons whose families have lived inside the boundaries of modern-day Hillsborough County, Florida, for at least 100 years. Sucessful applicants will receive a certificate and a pin. The following rules and procedures apply to the Application for Hillsborough County Century Families. Applicants must submit an application, the application fee, and full documentation. Please read these tabbed sections before beginning the application process. We have created two documents that provide the information you will need to apply for the Hillsborough County Century Families program. These documents are provided below in PDF and MS Word formats. Applicants must prove that their ancestor(s) resided in Hillsborough County over 100 years ago and that they are a direct descendant of the Hillsborough County Century Families Ancestor(s). Illegitimacy is not grounds for denial. A $20.00 application fee must accompany the application, which can include multiple ancestors and descendants. This fee is non-refundable. Upon application approval, the applicant(s) will be presented with 1 Hillsborough County Century Families certificate and 1 pin by the Florida Genealogical Society (Tampa). Additional certificates and pins may be purchased for $5 each. Applications must be delivered to: FGS (Tampa) Awards Committee, 9323 B Goldenrod Road, Thonotosassa, FL 33592. Applicants who are not accepted during the year in which they apply will have their applications filed by FGS (Tampa) at an address to be determined for a five-year period. Applicants have five years in which to submit sufficient documentation for acceptance. After this five-year period, the applicant must file a new application and pay the application fee. This application and accompanying documents become the property of the Florida Genealogical Society (Tampa). Applications must be signed by the applicant or by a person who compiled the application for the applicant. Unsigned applications will not be reviewed. The final application approval decision rests with HCCF committee. All FGS (Tampa) chairs and committee members volunteer their time to FGS (Tampa). Please use dark blue or black ink when filling out applications by hand. Applicants may download a file of the Application and Inventory of Documents page from the FGS (Tampa) web site. Submit the completed application(s) with photocopies of evidence documents. Do not send original documents as they will not be returned. All photocopies submitted must be legible or must be accompanied by a transcription certified as a True Copy by a third party not related to the applicant, preferably a librarian, a court official, or a certified or accredited genealogist. A True Copy certification means that a third party has viewed the original and the transcription and finds the content to be identical. When a photocopy is not possible, applicants may substitute a typed, hand-printed, or written transcription of documents. Transcriptions must be certified as True Copies as defined in #3 above. Only one photocopy of any document is necessary even though that document may be used as evidence for more than one event, more than one generation, or more than one applicant. If you are submitting applications for multiple family members, FGS (Tampa) only needs one photocopy of documentation for common ancestors. Organize evidence documents by generation in chronological order, according to the Line of Descent Chart found in the HCCF Certificate Application, before beginning to number them. For example, your Ancestor’s birth information should be Document #1. Number each piece of evidence in the upper right-hand corner according to its corresponding number on the Inventory of Documents. All submitted documents must be identified in this list. In each generation, the vital information for the descendant always should be written first and the information for the descendant’s spouse second, no matter which ancestral line(s) you are following in the application. Documentation must be provided for each date, place or name written on the application, in addition to providing evidence of residence. If you do not have an acceptable evidence document, leave that application space blank. Dates should be written in day, month and year format, i.e. 12 May 2006. Dates may be estimated using censuses or tombstones. If estimating a date (circa), write it like this: c 1810. Dates calculated (e.g. from age at death on tombstones) must have the word ‘cal’ written after the date. Try to make all documents letter size (8.5” by 11”). If an item is small, please re-copy it onto letter size paper so that it does not become lost. Documents larger than 8.5” by 11” will be folded to fit into the archival file folder. Do not use highlighter, staples, tape of any kind, white-out products, gummed labels, sheet protectors, or binders. Underline in red pen or pencil the pertinent sections of the documents. All documents submitted must have the applicant’s name and address on the back. Do not use gummed labels. Print, type or use a computer to print this information on each document. The use of an inked address stamp is acceptable. Each legal name change for anyone listed on the application must be documented. Information for additional ancestral lines may be included on additional applications. Application pages may be photocopied to provide space for additional ancestors. If an ancestor has been previously proved by another individual, the applicant may submit evidence only to the nearest common ancestor. Include the name and member number of the appropriate HCCF descendant. If you need documentation from or a copy of that descendant’s application, please follow the FGS (Tampa) Library Copy Service guidelines. The FGS (Tampa) HCCF chair recommends that applicants keep photocopies of the completed application form and all accompanying documents. Submit all documents in an envelope and label that envelope with the full name of the ancestor for whom the application has been prepared, and the name, address, telephone number, and email address of the applicant. Court Documents: Give state, county, volume and page number. Books and other published works: Give all bibliographical information (author/editor, title, publisher, city of publication, page number, and copyright date). Compiled Military Service Record (CMSR): List soldier’s name, unit, state and repository where the record is stored (NARA, state archives, etc.). If the record is on microfilm, cite publication and roll numbers. Pension File: List soldier’s name (or widow’s or other dependent’s name if filed by other than the soldier) and certificate number. Other Military Records: Give all identifying information such as packet number, publication series and, if on microfilm, roll number. Cite repository. Include any additional pertinent citation information. Family Bible Pages: Must be accompanied by a photocopy (or True Copy transcription; see #3 above) of the Bible’s title page and of any section showing the publication date of the Bible. Bibles must be contemporary with the information they prove. Please list the Bible’s provenance and the current owner. Family Records: Old family papers may be accepted if the provenance of the family papers is stated and the application contains other documents that support the information these papers prove. Census Photocopies: Must show, or have written on the front of the copy, all necessary finding information, i.e. town, county, state, year and date of census. Please do not send census summaries typically found on such sites as Ancestry. Reviewers need to see the original census page. In some cases, photocopies from census books, done by reputable organizations such as local genealogical societies, may be substituted. Photographs must be identified, preferably on the back side. Tombstone Photographs: Must be identified by cemetery name and location. If the tombstone inscription is not legible, a written transcription must be included. If the document is copied from microfilm, add the microfilm number and the repository where you used the microfilm. Internet Documents: If the document was obtained from an internet web site, you must cite the original source as per the above list and must list the web site name, URL and date of access. Citing the web site name, URL and date of access is sufficient for future researchers to find the same document later. Electronic Format Publications: Cite as if it were the printed copy of the publication but include the web page URL and date accessed or the title and other bibliographic information for the CD (or other media storage) publication. The rules of evidence applying for a Hillsborough County Century Families application follow and are the standards by which all evidence is judged. There are no exceptions. The nature and extent of the evidence submitted with all applications shall be sufficient to prove that the applicant is directly descended from the ancestor(s) named in the application, and shall be sufficient to differentiate between any two persons of the same name who might be residing in the same area at the same time. Documents used as evidence, either alone or in conjunction with other acceptable documents, must state the fact to be proved. Inferred evidence is not acceptable. All documents submitted must have a Document Number, preferably located in the upper right corner. This number must correspond to the fact(s) it proves on the application page(s) and to the description on the Inventory of Documents. Vital statistics, courthouse or other government records, and church records usually are considered excellent evidence documents. Other evidence such as Bible records, diaries or letters, censuses, newspaper clippings, county histories and family records contemporary to the facts reported are considered as corroborating evidence. Proof of military service can be found in enlistment, discharge, pension, Compiled Military Service Records, or other Federal, Confederate, or state government documents. An affidavit sworn to by an individual who was present at an event such as a birth, marriage, or death may be acceptable as proof if the person was of an age to be cognizant of the event at the time it occurred. The affidavit should be notarized or otherwise certified by a government official. Oral, written, or published family traditions may be in error and cannot be accepted as evidence. Printed or manuscript genealogies, genealogical records or compilations, family group sheets and charts, family reunion records and similar material are not considered evidence unless the document is contemporary with the information being proved and is supported by other evidence. Old letters or family records can be accepted as evidence for only the facts that the writer could logically know as contemporary knowledge. Identification of the writer and the document date is necessary as is a statement of the document’s provenance. Provenance is defined as the history of the ownership of a particular item. Unsupported information from an amateur or professional genealogist is not acceptable, including such records printed in genealogical, historical, or similar publications. Scholarly journal articles that are supported by citations to acceptable documentation may be acceptable. Published or manuscript material authored by the applicant or his family will not by itself be accepted as evidence but may be included with other qualifying evidence. A marriage license is not acceptable evidence for a marriage; it only proves intent. If no marriage return, certificate, or record exists, write the word Lic after the license date on the application. Pre-1880 censuses cannot be used as sole evidence of relationship since no relationships are stated in these records. Pre-1850 censuses cannot be used as sole evidence of residence for anyone other than the head of household. Land or real estate tax records are acceptable only if they specify that the individual was a resident of Hillsborough County and within its present boundaries. Photographs of tombstones are acceptable for evidence of birth and death dates and for relationships actually stated on the stone. Include the name and location of the cemetery in which the tombstone is found. Most published compilations of tombstone readings are acceptable. Tombstone photographs must be transcribed when they are difficult to read. Documents written or printed in a foreign language must be accompanied by a translation into English and the translation certified as a True Translation by the translator (a third party; not the applicant or his/her family member). Lineage applications, accepted or unaccepted, from other patriotic or hereditary societies are not considered evidence. E-mail is not considered evidence. Information taken from Internet resources or electronic publications must be acceptable in its original form. The original source must be cited as well as the web page URL and date accessed. If taken from an electronic publication on CD or other media, bibliographic information for the electronic publication must accompany the original source citation. DNA evidence and supporting documentation will be handled on an individual basis. Images of actual documents and records that are available on-line are acceptable but must include the citation for the original document if that information is not visible on the copy submitted. Transcriptions and abstractions from web sites such as HeritageQuest, Ancestry, Findmypast, MyHeritage, and from many genealogical organization sites are considered acceptable evidence but must have the original source fully cited as well as the basic URL citation. Web site information will be judged on an individual basis by the HCCF committee as to the credibility of the data presented. The International Genealogical Index (IGI) may be used as a finding aid to original records. Every attempt must be made to obtain the original record rather than to use the IGI citation as evidence. Ancestral File (and similar undocumented genealogical databases) information is not acceptable. The Social Security Death Index (and similar documented and governmental indexes) may be acceptable. Court records that specify unnamed individuals as heirs or heirs-at-law are not proved by such records unless it is known that applicable laws at the time included only bloodline descendants. A document copy of the legal statue in effect at the time or a citation to a published reference, print or electronic, is requested to assist in the evaluation process. Bible entries whose dates pre-date the publication date of the book are not acceptable. A father is not proved as being in an area just because his child was born there. The birth only proves the mother and child were in that location on that date. Blood descent is not necessarily proved by owning the same land as an earlier owner of the same name. Census proximity does not prove relationship. Here are the downloadable files in both PDF and MS Word formats. Click on the document names to download.